We have orthopedic supplies from pillows to supports and braces available in stock or we can order them specifically for you. The Chiroflow (water) pillow improves quality of sleep by adjusting to changes in sleeping positions while supporting the head and neck. 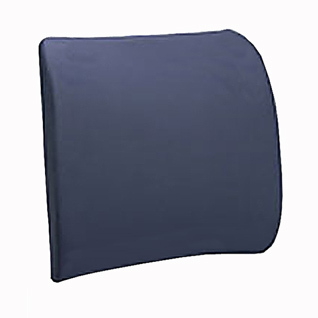 The Tri-Core pillow supports the spine and neck for side and back sleepers and will aid in restoring loss of cervical lordosis (neck curve). Leg spacer pillows are also available for side sleepers to keep the low back and pelvis in neutral alignment therefore reducing painful joint pressure and strain on the lower back muscles. Lumbar supports assist in achieving correct posture for the home, office and car. 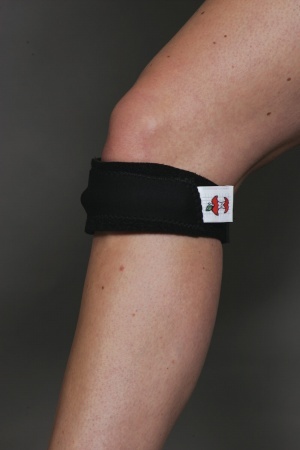 Other supports and braces for specific conditions ranging from tendinitis to back or other joint/muscle strains are available and recommended after a complete exam and diagnosis. "TENS" is the acronym for Transcutaneous Electrical Nerve Stimulation. A "TENS unit" is a pocket size, portable, battery-operated device that sends electrical impulses to certain muscles of the body to block pain signals. The electrical currents produced are mild, but can prevent pain messages from being transmitted to the brain and may raise the level of endorphins (natural pain killers produced by the brain). These units are a must have in most households and must be prescribed by Dr. Tolman or another physician. The units may be purchased to use as directed or can also be rented for monthly use upon availability and need. Our low cost, low tech exercise equipment includes exercise balls, resistan ce bands, balance boards, stationary bicycle pedals, and a tubing/ pulley combo kit. Using low-tech and low-cost equipment that you can learn to do in the walls of your own home at your own pace and schedule, makes it easier to be compliant to your rehabilitative regimen. Many athletic trainers have taught that the use of these low cost materials may actually be more effective than the most expensive gym equipment. We recommend using whole foods to nourish the body and give the essential nutrients necessary to heal and maintain health. Many of us in our fast paced life have lost the way of all natural foods prepared from scratch. If we choose to eat the Standard American Diet because it's easier and convenient, then we will be missing essential nutrients that have been damaged and loss during processing. We should only be seeking high quality, nutrient dense supplements to make up for our lack. Our office recommends Juice Plus, the next best thing to fruits and vegetables, because it is a whole food supplement containing nutrients from 17 different fruits and vegetables. We have also partnered with high quality, whole food supplement and herbal support companies to give the very best support for the best healing and maintaining of health. Dr. Tolman is trained and has continued his knowledge on all the latest nutritional research so he can give the best recommendations according to each individual needs. We also understand the necessity of Omega 3 f.a. (fish oil) supplementation for every patient because of the benefits to pregnant women, mothers and children, patients who suffer with heart disease, diabetes, depression dementia and all other chronic illnesses caused by toxicity and inflammation. Contact our office for more information on how we can serve you and your family in meeting your nutritional deficiencies. Biofreeze relieves pain by using cold therapy and natural soothing ingredients. This long lasting, deep penetrating pain relief lasts several hours. Pain-free muscles heal faster with this greaseless, stainless, no lingering odor product. Live Well Chiropractic is a distributor of this pain relieving gel that can be purchased in single use dispensers, tubes, roll-ons and spray bottles. Gift certificates are available for most of the services we offer at Live Well Chiropractic. Our current special is buy 3 massage gift certificates get 1 free! Call for pricing and details. See also specials. Want to share the benefits of chiropractic adjustments with your friends and family? Contact us to receive new patient discount coupons to give as an incentive to try Chiropractic!